Rotoscoping is one of the fundamental skills of compositing so thought I’d collect together a few good videos and articles on it. Some of these are over a decade old and though the tools used have changed since then, the techniques still remain the same for the most part. 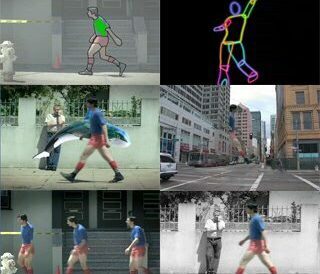 The things that have changed are generally ways we can track these roto shapes onto moving objects in the frame (examples of which are using a planar tracker like mocha, or smart vectors, or projection on a 3d tracked card). This is a great fxguide article outlining the history, applications, software and basic tips. Great videos showing a good rundown of rotoscoping techniques for beginners. Here is his article on rotoing hair.